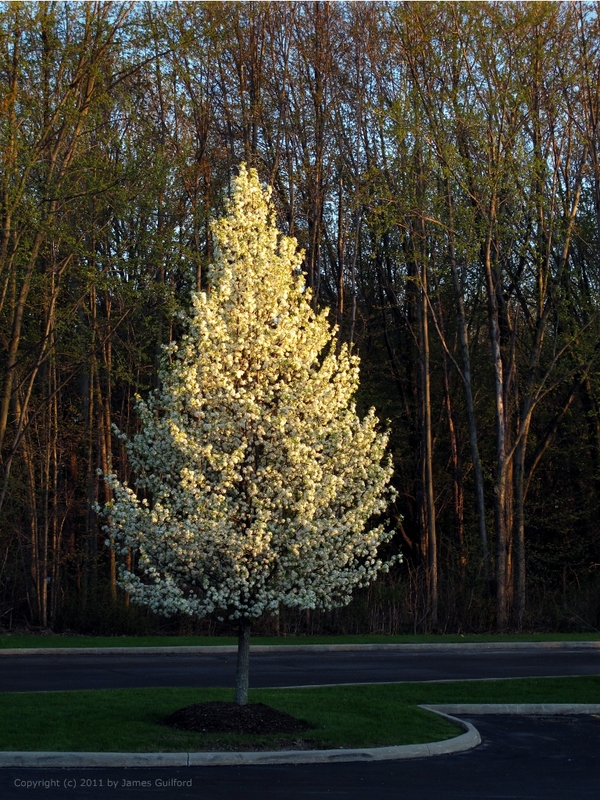 The late-day sun illuminates a spring-blooming tree appreciated all the more due to recent weeks of foul weather. It seems we’ve had very few sunny days of late. In fact, it has been overcast and raining an a near-daily basis for weeks. This afternoon the clouds disappeared revealing a blue sky the likes of which we haven’t seen in, well, I don’t know when. As the sun set, its last golden rays illuminated trees in full bloom outside my office window. I grabbed my little Canon G11 and dashed out the door. Tomorrow is expected to be another pleasant day. The rains return tomorrow night. I’m sorry that the weather is gloomy. Here in France, it seems that summer is early. Forecasts say between 25 and 28°C for sunday afternoon !! That tree has such a beautiful shape!